Interface or multiphase level measurements exist throughout the Oil & Gas streams as well as Petrochemical. While level measurement technologies have come a long way in effectively measuring liquids and solids, multiphase level measurement continues to be the biggest challenge and opportunity that exists today to which there is no perfect technology. However, experience has shown that process optimization and increased uptime can still be achieved in many separator applications through reliable, best-in-class, level technology. 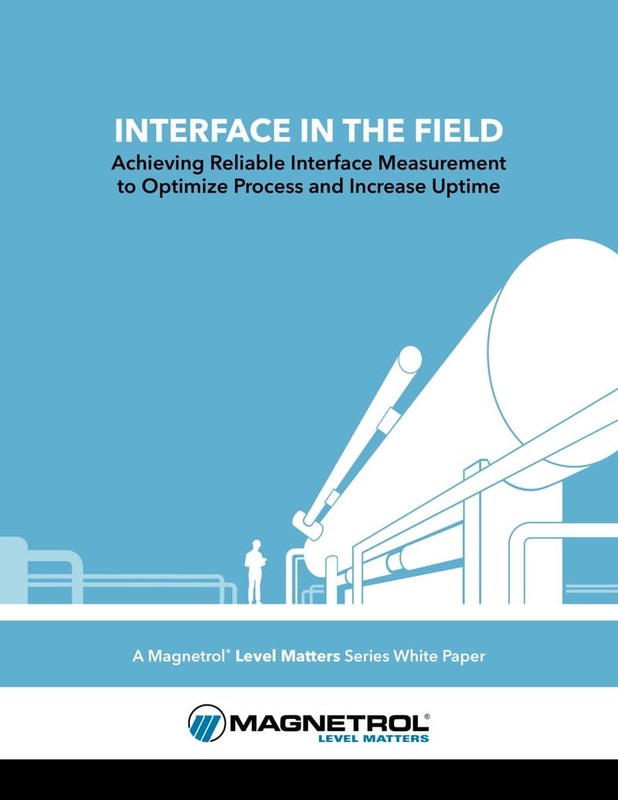 The objective of this paper is to review interface challenges, the current technologies being utilized for interface, field experience in various applications to achieve process optimization and increased uptime, and the future of reliable interface measurement. 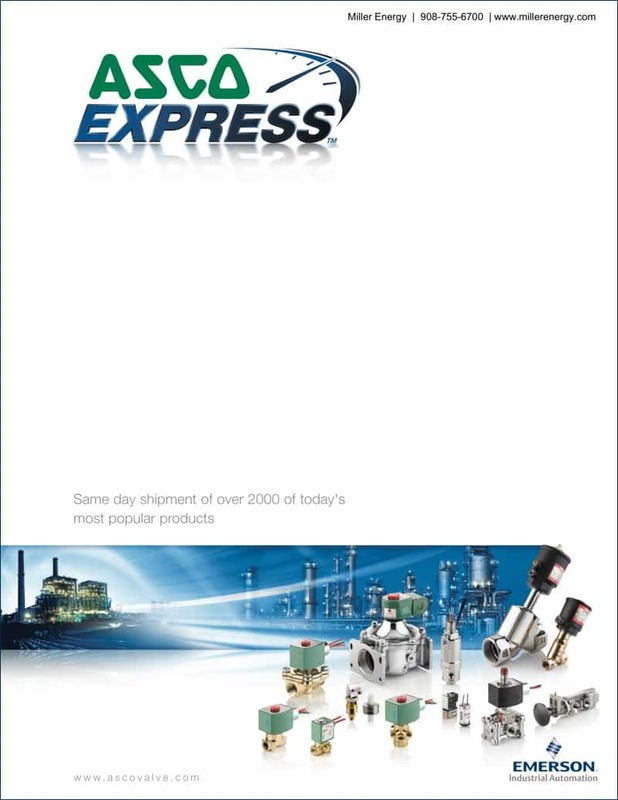 Courtesy of Magnetrol and Miller Energy, Inc.
Download your copy of the ASCO Express Product Catalog here. Contact Miller Energy for all your ASCO solenoid valve requirements. The Magnetrol R82 Pulse Burst Radar transmitter performs across a wide range of applications. The R82 is designed to provide radar reliable process measurement in challenging, vapor saturated environments, at the cost of what you pay for an ultrasonic device. For water treatment, the Magnetrol R82 Pulse Burst Radar transmitter provides continuous level measurement at the lift station and coagulant feed tanks, in settling tanks during clarification, in polymer, filter, and lime slurry tanks during filtration, and for open atmosphere water reservoirs where the control technology must withstand punishing weather conditions. In wastewater facilities, the R82 radar can control level at the lift station pump, open channel flow and screening system, monitor feed tanks containing chemical coagulants oxidants and phosphorous precipitation, measure splitter box in clarifier levels, control corrosion inhibitors, manage pH adjustment, mixed liquor and secondary clarifier levels, as well as activated sludge and digester level control. How Do Pilot Operated Tank Relief Valves Work? Storage tanks become pressurized when liquid is pumped in and compresses the existing tank vapor. Tanks also become pressurized due to increasing ambient temperatures, which cause the tank vapor to expand. To mitigate damage from these expanding tank vapors, pressure relief valves are installed on tanks to prevent structural damage resulting from over-pressure. Here is an excellent animation, courtesy of Cashco, that shows how a pilot operated relief vent protects a storage tank from over pressurizing during a pump-in situation or during thermal heating conditions. For more information on tank relief valves, contact Miller Energy at www.millerenergy.com or by calling 908-755-6700. Boilers are used in a broad range of industries such as electric power, pharmaceuticals, chemicals, ceramics, and paper and pulp. Amid the rising energy costs, tightening environmental regulations, and increasing awareness of safety as of late, the needs for high efficiency operation, low emission operation, and safe and stable operation of boilers are growing. In order to ensure the air and fuel are combusted at an optimal ratio, the waste of fuel is eliminated, and the exhaust gas is cleaned, real-time monitoring of the oxygen concentration of combustion gases is required. Equipped with an oxygen sensor unit with a longer life span, the Zirconia Oxygen Analyzer ZR series are capable of measuring an oxygen concentration with high reliability. The Stack Gas Analyzer monitors exhaust gas components such as NOX, SO2, and CO2 in order to ensure low emission operation. A single-loop controller can be used to properly distribute control functionality. Offering the advantages of flexibility of building distributed control systems, simple maintenance, compatibility with conventional systems, and the like, the YS1000 Series of Single-loop Controllers are ideal for safe and stable operation at low costs. In order to ensure highly efficient and safely operated boilers, it is also indispensable to accurately monitor the drum level and steam flow rate. The EJA and EJX Series of Differential Pressure Transmitters are capable of measuring the drum level with high stability even in actual applications at high temperatures and high pressures. The DY Series MV TYPE of Vortex Flowmeters with a simple construction employ a built-in sensor to measure the steam mass flow with high reliability. 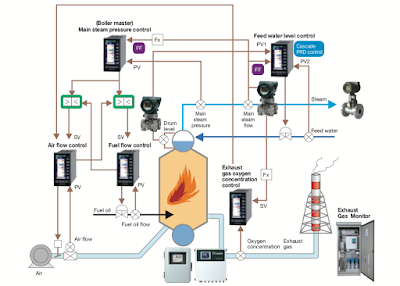 Yokogawa offers a wide variety of sensors and controllers that are used to monitor and operate boilers, and contributes to increasing the efficiency and environmental performance of boilers, as well as ensuring their safe and stable operation. Miller Energy by visiting https://millerenergy.com or by calling 908-755-6700 in New Jersey, or 610-363-6200 in Pennsylvania. 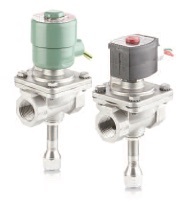 Low-temperature stainless steel fuel shutoff valves are usually utilized for on/off control of fuel gas within gas fuel trains in process heating system burners. 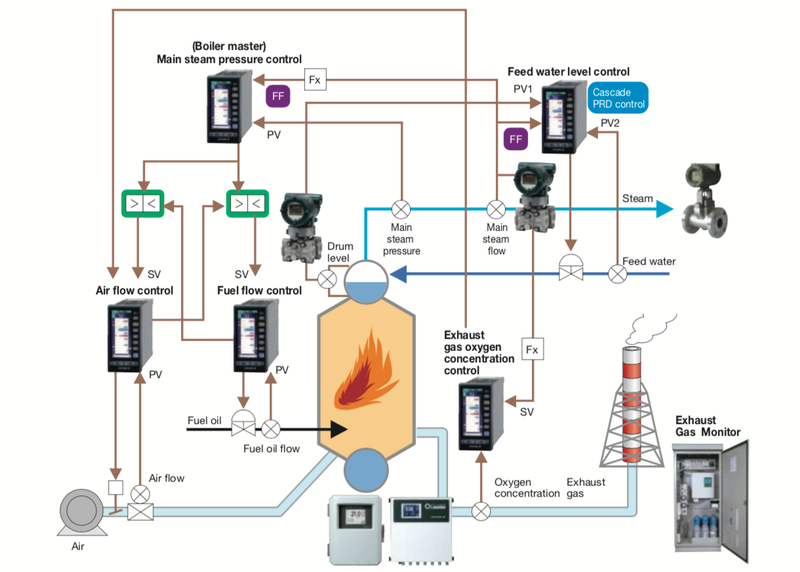 These systems are widely used by oil and gas firms as well by as original equipment manufacturers (OEMs) that produce gas heating equipment or burner management systems (BMSs) and controls in upstream oil and gas pipelines and tanks. For valve manufacturers, these uses present a relatively specialized, rather challenging application. Environmental conditions at the point of use are often difficult. Ideally, valves should deliver reliable operation despite constraints on factors ranging from power consumption to service availability. Conversely, outdated controls can pose problems — including poor performance, noncompliance with current regulations, and triggering of environmental concerns. 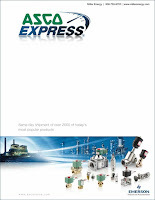 Download the PDF version of "Breakthrough Solenoid Valve Technology for Upstream Oil and Gas Heating Equipment" here, or review it in the embedded document below. Breakthrough Solenoid Valve Technology for Upstream Oil and Gas Heating Equipment from Miller Energy, Inc.